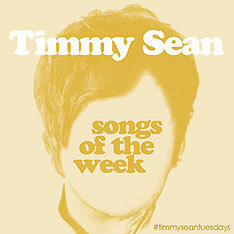 Timmy Sean’s Songs of the Week, Week 5: “Hold It Strong”… Wow. And more! The fifth song in Timmy Sean’s Songs of the Week series emerges squarely from the could-have-been-on-Paul-McCartney’s-first-or-second-solo-album camp. “Hold It Strong” has all of the elements needed for you to be able to slap a “Very McCartney-esque” stamp on it. The song starts out with Timmy’s emotional vocal up front in the mix atop an equally emotional piano part. Timmy’s falsetto, at the end of the second vocal line, is followed by some lovely background vocal harmonies and strings, which are followed by phased guitar and steady drums and a lovely bridge that leads to the catchy chorus, sung in harmony as the singer pledges his support for a loved one. The guitar solo, also phased, wows. This is one heck of a song, one heck of a performance, and…well, it’s a keeper. Timmy worked up until the last minute finishing the recording and mixing. 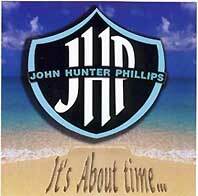 It was all worth it–this may be the best in the beginning crop of Songs of the Week we’ve heard so far. What a performance. What a song. What a project, and we’re only in week five. We can’t, and we know you can’t either, wait for the next 47 numbers. See you back here next week for number 6 in the series! 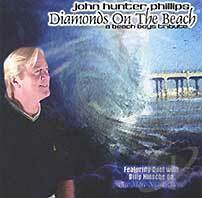 And be sure to pick this one up from Timmy’s Bandcamp page. And new today is a subscription plan that will pay great dividends–you can get a heaping helping of Timmy’s releases, even from his Luzer days, by clicking here. Highly recommended! Categories: Timmy Sean's Songs of the Week	Tags: "hold it strong", alan haber, bandcamp, pure pop radio, songs of the week, streamlicensing, timmy sean, wow! The act of musicians paying tribute to a favorite artist’s art for the purposes of expressing adulation and exposing some other idea or sound to fans is not a new concept, but it is a great and honored tradition that is happily carried out by adept craftspeople who know a thing or two about quality and wish to communicate their joy. 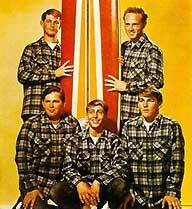 In the case of musicians paying their respect to the Beach Boys (and Jan and Dean and others that have blossomed under the California sun), it is a longstanding tradition that continues to this day. Witness XTC’s spot-on “Pale and Precious” as an example from years back, and point to the work of current pop artisans like Dave Caruso, who captures the Boys of Summer’s sound and spirit in the audio bottle known as “Champion,” and Dana Countryman, whose vocal arrangements evoke the kind of depth of construction favored by the Beach Boys’ central spirit, Brian Wilson. 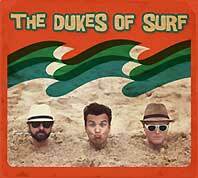 And also factor in the songs of The Dukes of Surf, Hawaii based and steeped in the same melodic tradition. All of this adulation and expressing the joy of influence would mean nothing at all if artists didn’t infuse their loving tributes with a piece of their own hearts. In the case of Matt Tyson–singer, songwriter, artist and such a smart cookie–heart is the center of the attention he gives to what has come before. 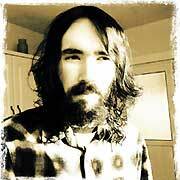 In his music, Matt starts with the central concept of the meeting of minds between melody and harmony. He constructs a framework within which he plants the spark that gives birth to the idea that grows the song and places the cherry–an explosion of sweet vocalizing–on top. That’s not easy to do; Matt pulls the whole deal off as if it were second nature to him. And it probably is. The Philadelphia Inquirer has reported that, prior to making the album Goodbye Jumbo in a studio with better equipment than he was used to, World Party’s Karl Wallinger recorded “…a lot of Beatles and Beach Boys songs… His goal was to figure out exactly how those records were made.” In Matt’s case, he probably listened, greatly admired the Beach Boys sound and, knee deep in that euphoria, started sculpting songs that would celebrate his joy. The point is, I think, he figured it out. Playing all of the instruments and singing all of the vocals himself about 99.9 percent of the time, Matt tucks his influences in his pocket and turns out song after song kissed by golden sunshine. Matt’s latest album, Summertime Girls, begins with a gorgeous Jan and Dean-inspired a cappella opening to “My Old Bel Air.” The harmony stack is deep; if the six seconds it takes to get through that a cappella bit were all the song had to offer, it would probably be enough to satisfy. But there is the song–a car song, no less, that is all about the love for the 1950s version of the hovercraft. “All these custom cars, yeah they look real nice/They sit around at shows for a trophy prize/But my ’57 Chevy is not for show/It’s old and worn but always ready to go,” Matt sings. The song is a tribute to an ideal that still resonates: The things that define us in our lives matter. In another car song on Summertime Girls, Matt tells the story of the “Five Window Coupe.” Anchored by Brian Wilson influence, the singer takes listeners on a detailed tour of his ’34 Coupe. “Nothing can touch my Plymouth five window Coupe,” he sings over a decidedly considered, slowed down beat, laying on the harmonies as if they were the main ingredient in the icing slathered on top of a delicious, five-layer chocolate cake. These songs are about more than cars: Girls figure into the landscape, too. In the title song, Matt’s mix of joyous harmonies and Hal Blaine-styled drumming takes you to the summer soaked beach to check out the scenery. 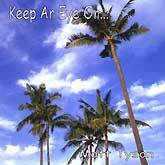 The same attention to detail is paid to all manner of songs on all of Matt’s albums like 2007’s Keep an Eye On. 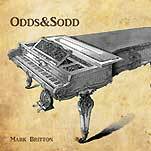 “My Car, My Board and You” sums up the summer scene of the mind in beautiful ballad style, with Matt’s usual vocal and instrumental dexterity in tow. And let’s not forget the melodies–dreamy, three-dimensional, and true. “The Calm Song,” a co-write with Barry Thomson, who played all of the instruments, is nothing less than a perfect pocket symphony with surprising and satisfying changes. It is a musical marvel sporting swirling harmony constructs and room to breathe. The a cappella parts particularly shine and delight. N ow!, from 2008, begins with a lovely, upbeat, summer soaked love song to a girl named Marianne (“Marianne (Makes Everything Different)”) and continues with a wonderful Beach Boys-meets-Jan and Dean nod (“Fun When the Weekend Comes”). 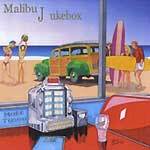 On 2010’s Malibu Jukebox, Matt celebrates the whole ball of wax that figures into his songs with the catchy, name-checking vibe of “The Ooh Wah Song.” 2009’s California Myth is another total melodic celebration, with great girl songs (the upbeat “Judy Knows Malibu,” and “My Kind of Girl,” percussion heavy with a layer of sleigh bells and a punctuating bass line that could have been waxed at Gold Star). Add to that a whole lot of spirit. Catch a wave, anybody? 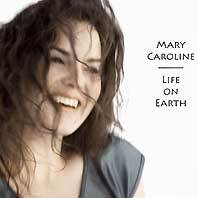 It is rare to come across an artist whose vision is as true as that which fuels the songs that populate these albums. In Matt Tyson’s music, the art of homage, and of reinvention, is at the heart of all things. In our lives, adept craftspeople like Matt Tyson are important–vital, even, as they lift our spirits when they need lifting, which may well be more often than not these days. It is all about the art, and the state of the art is just fine. 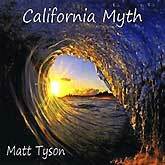 Matt Tyson’s CDs are available at CD Baby. How About a Short and Sweet Basketful of New Music for Your Wednesday? We’ve Got the Goods Right Here! For your wonderful Wednesday, we’ve got a short and sweet, but no less wild and wooly stack of wax–a triumphant trio of platters that matter!–to roll out to your ears. Without any further ado, let’s get to it! 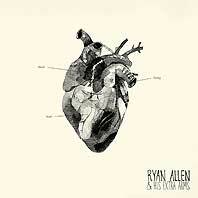 Ryan Allen and His Extra Arms | Heart String Soul With this exhilarating followup to 2011’s Ryan Allen and His Extra Arms, Ryan and his arms prove that they’re no longer the best kept secret in power pop. Heart String Soul has enough oomph and pomp and confidence to blow the doors off your grandma’s shack in the woods. It’s a heck of a record and a heck of an achievement and, heck, we’ll just have to add six great tracks to the Pure Pop Radio playlist, including the pure pop confection “Keep Me Around,” the blistering power pop anthem “Looking Forward to Looking Back,” and the made-for radio, straight-ahead pop of “Should Be Me.” Also now playing in rotation: “Born Radical,” “Not Hanging Out,” and the sensitive ballad that closes the album, “Bonded by Blood.” Destined to be a favorite with many a pop fan, Heart String Soul drops March 25. It’s pretty great. 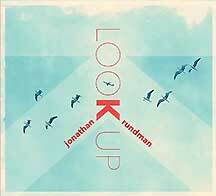 Jonathan Rundman | Jonathan Rundman Just last Wednesday, we added tracks from Jonathan Rundman’s new album, Look Up. 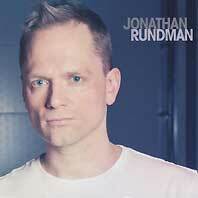 Here we are again with tracks from Jonathan’s 2011 self-titled release, a compilation of various tracks recorded between 2000 and 2010. A few are remixed from earlier album appearances and a few are previously unreleased, but most will be familiar to Rundmaniacs (to coin a phrase). 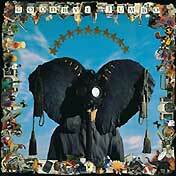 All told, the 20 songs included here kind of sum up the various forms of pop out there in the world today. Rundman’s a master craftsman, for sure. We’ve added 10 tunes: “Smart Girls,” “Librarian,” “Surgical Precision,” “581,” “I Thought You Were Mine,” the sorta-kinda absurdity-meets-tenderness vibe of “Dialysis Carpool,” “Kuortane,” “The Serious Kind,” “You Never Last Where You Land,” and “If You Have a Question.” Fine work from a mighty fine pop purveyor. Dig this now. As we said above, short and sweet, but no less grand. Be back here tomorrow for more new adds to the Pure Pop Radio playlist. Twist (and Shout!) the Night Away with Ken Michaels… Every Little Thing Rolls at 9 pm ET with the Beatles Dance Party! Ken Michaels has taken his snazzy duds to the dry cleaners and polished his dancing shoes for tonight’s special edition of everybody’s favorite Beatles radio show, Every Little Thing. It’s Every Little Thing’s Beatles Dance Party! The floor starts shakin’ at 9 pm ET on Pure Pop Radio. Consider your fab dance card full! Ken has packed all three of tonight’s segments with Beatles, solo Beatles, and Beatles related tunes, all perfect for dancing like there’s no “Tomorrow Never Knows.” In fact, you won’t hear “Tomorrow Never Knows” in tonight’s nine o’clock hour–you will, however, hear “I’m Happy Just to Dance With You” right out of the gate. You’ll hear John Lennon taking “Do You Wanna Dance” out for a spin and Paul McCartney doing a whole lot of “Ballroom Dancing.” McCartney will implore you to “Dance Tonight,” and the Traveling Wilburys will shout out all of the necessary steps for doing the “Wilbury Twist.” Quite a workout! Add in the Beatles providing the heat with their storming version of “Twist and Shout” and some other choice sides, and you’ve got a terrific show. Remember, the dance floor gets a-hoppin’ at 9 pm ET tonight with Every Little Thing’s Beatles Dance Party! See you on the radio! Welcome to Wintry Mix Wednesday! More New Music Debuts! 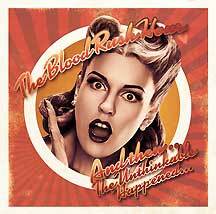 The Blood Rush Hour | And Then.. The Unthinkable Happened… Wales psychotherapist and musician Robert DeStefano returns with his fellow band members to unleash a grand, elegant sophomore effort, the follow up to 2012’s Shrink. Think 10cc for the digital age. The songs range from a toe-tapping 10cc/Jose Feliciano/Jethro Tull melange (the gorgeous, upbeat “Too Hard to Put Right,” with a short, shocking, Godley and Creme background vocal insert) to the charging pop of “Mr. Wonderful.” In between, you get the strings-fueled, medium-paced pop-rocker “Dancing by Yourself,” about accounting for your decisions in life (“The verdict is open/And you’ll only know when/You tire of dancing by yourself”), and a melodically charged, horns-fueled song about deception, “I Never Lied to You” (“I’ve always been open and honest, frank and transparent/Forthright and true/With fingers crossed I state categorically/I never lied to you”). We’re spinning nine songs in total, including those we’ve just mentioned. The others? “Ad Astra per Aspera,” “Run to the Roundhouse,” “(The Day I Finally) Stopped the War,” “A Song that Some Sing,” and “I See Something.” Another candidate for best of the year honors. Whew! We’re off and running this year, aren’t we? 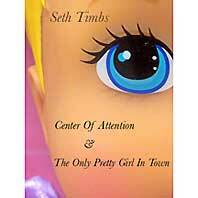 Seth Timbs | “Center of Attention” and “The Only Pretty Girl in Town.” After five albums with the group Fluid Ounces and other musical pursuits, Nashville’s Seth Timbs turns his attention to a single of his own, comprising the catchy, beat-driven “Center of Attention” (featuring a surprise left rhythmic turn about halfway through), and the romantic tale of the girl who may just get away, “The Only Pretty Girl in Town.” A pretty pair, now playing in rotation on Pure Pop Radio. 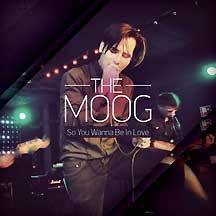 The Moog | “So You Wanna Be in Love” Budapest, Hungary’s the Moog have released a driving slice of catchy pop in advance of the band’s upcoming EP release. “So You Wanna Be in Love” burrows its deep hook into your brain upon first listen, with a chorus that should help to propel this band forward, building on previous releases and tours here in America and abroad. 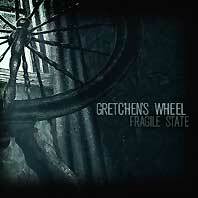 We look forward to hearing the new EP; in the meantime, dig this cool tune. 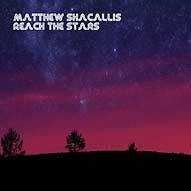 Matthew Shacallis | Reach the Stars Only 21 years old, Sydney, Australia’s Matthew Shacallis originally started this collection as a university recording project. Now that the cat’s out of the bag, it’s becoming much more than that. It’s certainly caught our attention. From the jangly pop of “Nothing to Show” and the hit-worthy “Summer Sun” to the John Lennon ballad vibe of “Reach the Stars,” this is top shelf all the way. 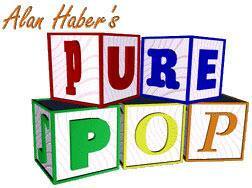 Welcome to Pure Pop Radio, Matthew. These songs are now spinning in rotation. That’s it for today…just a taste of what’s new and now spinning in rotation at your home for the greatest melodic pop in the universe, Pure Pop Radio. Check back tomorrow for more new adds to our playlist!